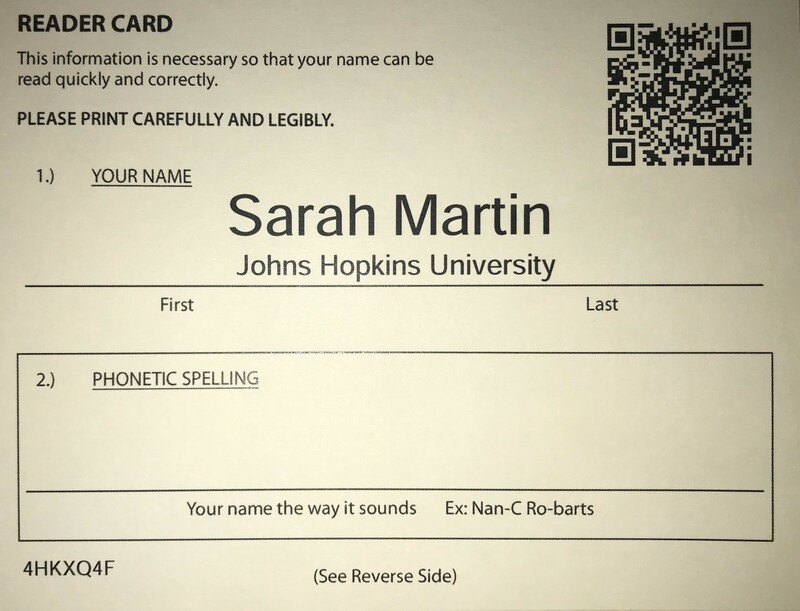 At commencement, as each graduate approaches the stage, his/her QR code is scanned using a hand-held scanner, which places that graduate's name in the correct sequence, and queues it for display on the video systems. Card scanning does not interfere with the flow of graduates or the pace of the ceremony. 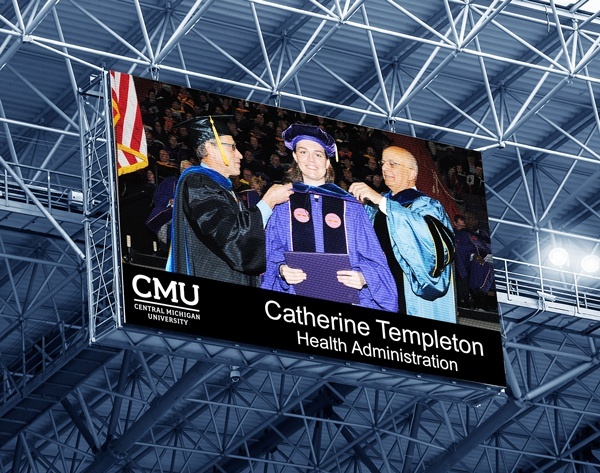 Once the graduate enters the video camera's field of view to shake hands with the presenter, a staff member simply advances the system to display his/her name on the video screens. GradRoll works with Windows-based computers, and does not require an internet connection at the venue. It utilizes a common HDMI video output, which A/V staff will appreciate for its easy integration with the venue's video system. Additionally, GradRoll can gracefully handle instances where a graduate may approach the stage without his or her reader card. For additional information about GradRoll at your ceremony, please contact us today!